Classroom Management Ideas | So, You Think You Can Teach ESL? Classroom management is an evolving thing. It is good to frequently reevaluate how well your classroom is managed. The ideas in this post are good to try or modify to suit your own tastes. Some children might be knew to learning the English Language, therefore they might not understand all the words that you are saying, but it is possible for Thai children to understand the routine of each day through pictures. Each picture on the schedule should have the time, in addition to a corresponding picture demonstrating the activity. Use visual cues to communicate your expectations in a positive way. For example, post rules with pictures in your classroom, use picture cards, symbols, and a positive rewards chart. Thank you, for sharing my post! 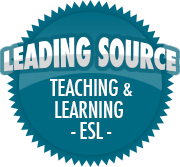 Also, check out my other page, which has great links to how to find a teaching job abroad, getting prepared for your overseas interview, and how to use positive guidance in the classroom. Thanks for the comment! Though I am already teaching in Asia (South Korea), and have been for the past five years, I can recommend your other page. Mind if I share it on here? Yes, please share it! Thanks!